I won't start now making a new blog with how to make soap as I am just a beginner in this area and, as I said before, I have other deep passions to follow. However, from time to time, I'll share here the photos of my trials and the recipe I used. For how to make soap or cosmetics, the internet is full of guides and I suggest that if you want to try, give a simple search or start reading sites like soapcalc.net and look for videos instructing how to do it. This is my very first soap I ever made. 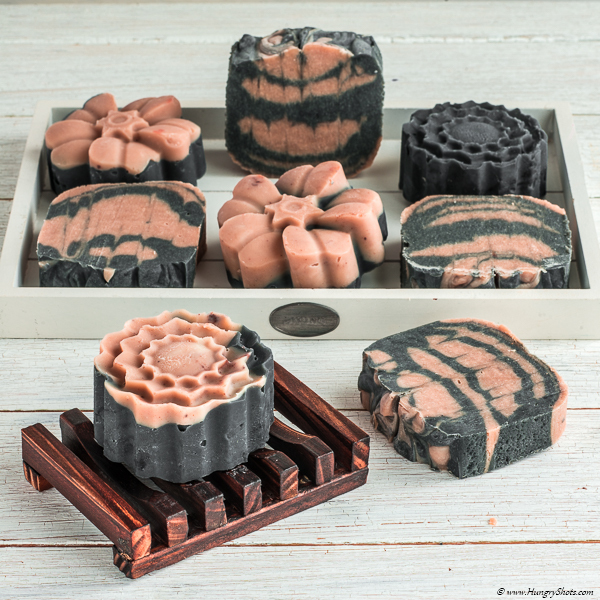 It has a nice combination of oils and 2 great ingredients: red clay and activated charcoal. I made it with the idea of creating a facial soap but it is for sure very good for hands and body washing.